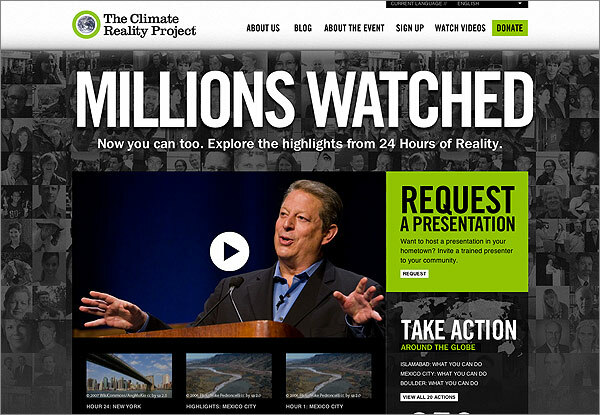 I don’t agree with Al Gore’s theory’s about the climate, but I dig the new Climate Reality web site design. Simple layout, with a basic color palette. It really works well.